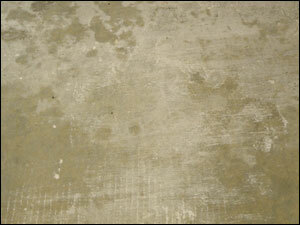 " I wanted to thank you for the excellent job you and your crew did on my garage floor. They removed my old peeling garage floor and installed a beautiful new Spartaflex garage floor that I absolutely LOVE! 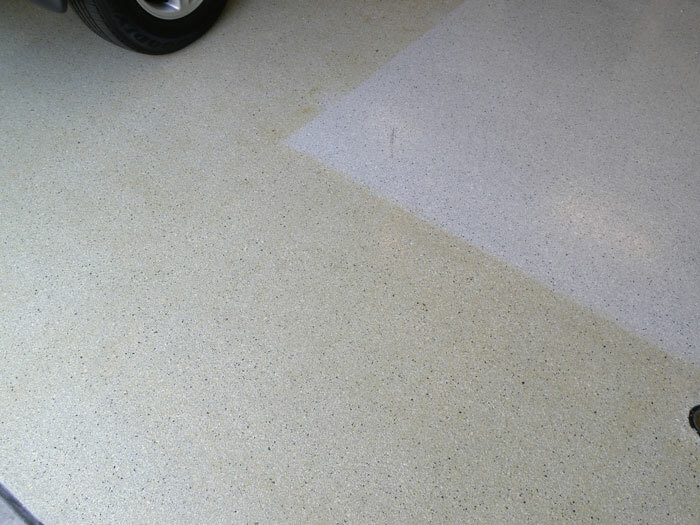 I would endorse and recommend Perkins Custom Coatings to anyone considering a garage floor in the near future!" If you are in the market for a new garage or commercial floor, there are lots of choices. However, your decision will most likely come down to a choice between SpartaFlex (made by HP Spartacote and installed by Perkins Custom Coatings) or Epoxy. Here are some frequently asked questions that hopefully will make your decision a little easier. 1. SpartaFlex versus Epoxy: Which Surface Is Better? In the chart shown below, you will see that in every category, SpartaFlex outperforms Epoxy and when it comes to ease of install a fast return to service, there just isn’t any comparison. Only SpartaFlex can get you back on your floor the same day we complete it and driving on it 24 hours later! 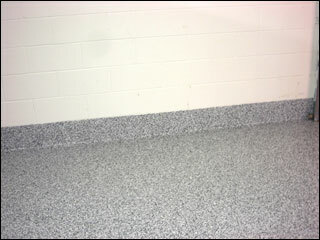 If SpartaFlex isn’t an Epoxy floor coating, what is it? Epoxy floors are notoriously slippery when wet, and they have a very low .50 Coefficient of Friction which makes them downright dangerous!. That is one of the primary reasons we like the SpartaFlex coatings so much. In addition to their many other excellent attributes, SpartaFlex coatings have a .86 Coefficient of Friction which makes it very slip resistant – even when wet! Can I purchase one of those “Do It Yourself” kits and install a garage floor for less than a SpartaFlex garage floor? 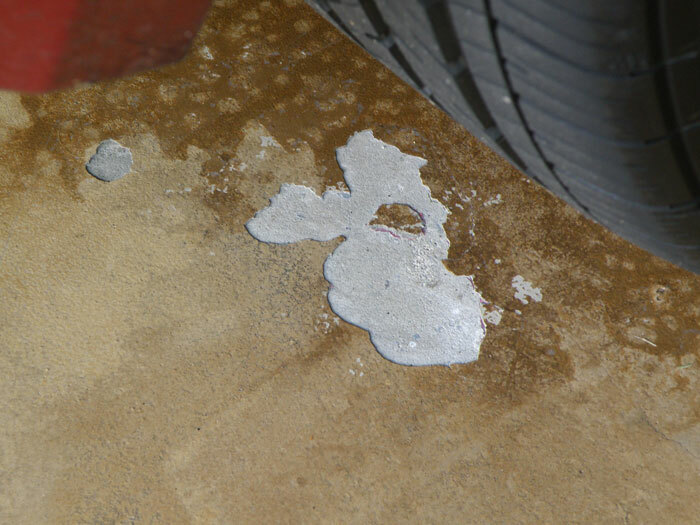 You can install a very inexpensive garage floor coating in a weekend by purchasing one of those do-it-yourself kits from Home Depot or Lowe’s for a couple of hundred dollars. 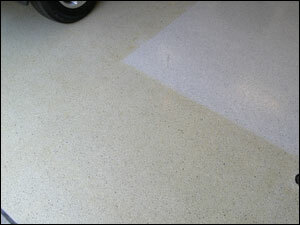 However, the old saying that “you get what you pay for” has real meaning when it comes to floor coatings. 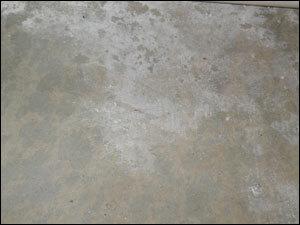 The typical do-it-yourself kit uses a weak acid wash to prepare the concrete floor to accept the floor coating. 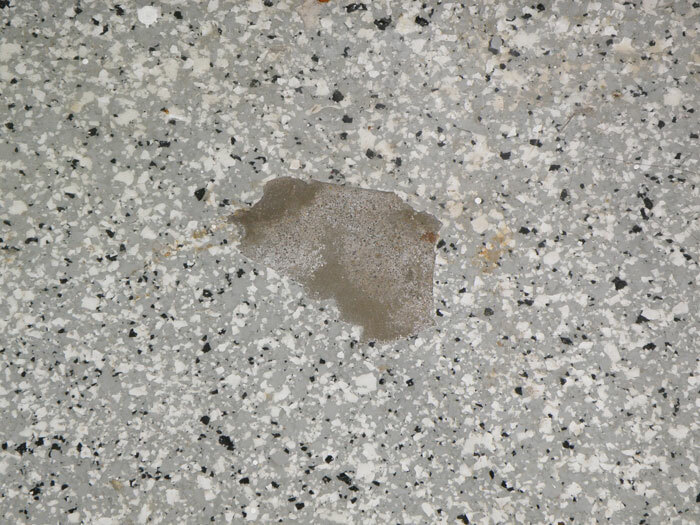 Even if this acid wash is done correctly, an acid wash is the least desirable method to prepare a concrete floor to receive a coating according to the experts. Your best case? A do it yourself floor coating will typically last just 1-3 years before it begins to either show extreme wear or peel and flake. We are removing dozens of 1-3 year old do-it-yourself floors every month and installing new SpartaFlex garage floors for people that made the mistake of trying to save a few bucks on their garage floor coating, only to find that these “kits” just don’t perform the way they had hoped. I have a quote from a company that plans to use 3 or 4 coats of materials. How many coats are installed during the SpartaFlex installation? This is a great question that should really help to drive home the difference between cheaper grade coatings and SpartaFlex. SpartaFlex, like ALL the coatings that we use, is a 100% solids polyspartic. That means that it contains no solvents that cheapen and dilute the coating. 100% solids is the highest grade of material that you can buy and 100% solids materials are the highest performing materials in the marketplace. 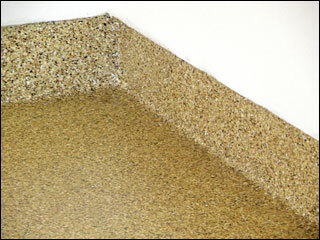 Some competitors try to dazzle customers by saying that they will use “Commercial Grade” materials. Those only have a solids content of 70% with cheap, smelly solvents making up the other 30%. Others will use materials that contain even a lower percent solids! They will have to use more coats of their cheaper, lower grade materials to achieve the same dry film thickness that we provide you. More coats does not mean higher quality. It actually means lower quality!! 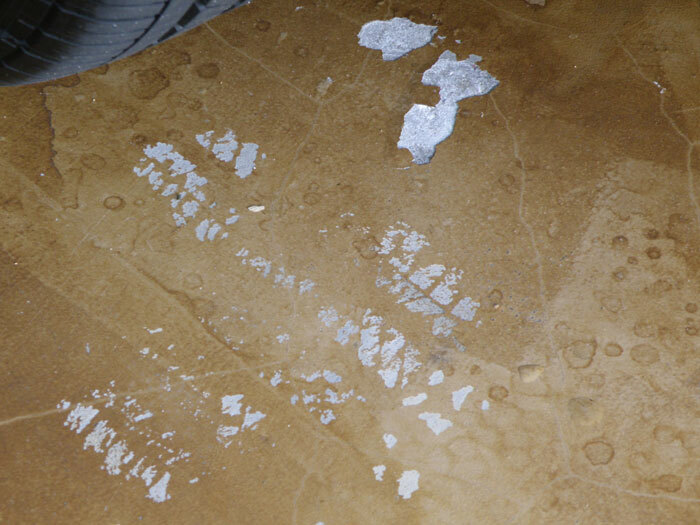 If you received a bid from someone who says that they are using more coats of materials than we are, they are using cheap, poor quality products that are the worst performing coatings in the marketplace. We only use 100% solids materials because they are the best quality materials that you can buy. With Epoxy floors, I will have to wait 3-7 days before I can drive on my floor. How long do I have to wait before I can drive on a SpartaFlex Floor? SpartaFlex floors have the fastest cure times in the industry. You are moving your things back into the garage the same evening we finish and you can drive on your new floor the following morning! Compare that with the 3-4 days before the typical Epoxy floor is ready for drive on after installation. 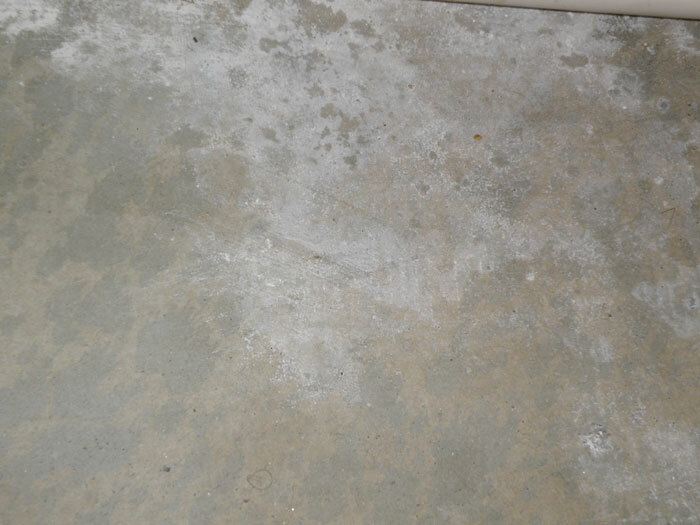 I have a moisture problem on my garage floor. Can I install a floor coating on it? In southern California, many homes have latent moisture issues caused by any number of reasons. First of all, any home built before the early 2000s probably does not have a vapor barrier beneath the cement slab because the Building Codes didn’t require them before 2003. Secondly, even if your home is not topographically challenged (ie: located at the bottom of a large hill), many homes in southern California do not have proper gutters, downspouts and landscape drainage systems installed to properly channel surface water away from the foundation. As a result, a large percentage of homes in our region have moisture issues. In cases where latent moisture is a problem in concrete slabs, we use a special primer called “Aqua-Lok” that is specifically designed to reduce the moisture drive in concrete. Then we apply 2nd material that is a moisture barrier designed to work along with Aqua Lok help reduce overall moisture below to levels that allow our coatings to adhere properly to the concrete. The Aqua-Lok/Moisture Barrier system costs a little bit more, but it is specially designed to allow polyaspartic floor coatings to be applied to high moisture content concrete surfaces. 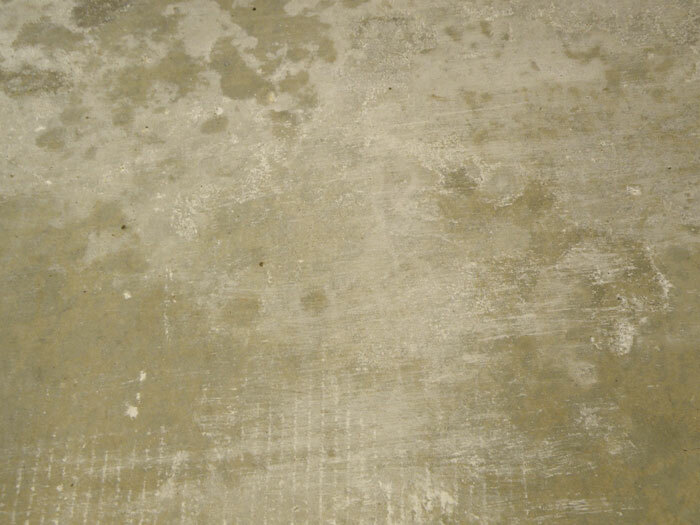 I have a lot of things in my garage, but I really would like to have you coat my garage floor. What do I do? This is a common question that we receive. The best news relating to this question is that because SpartaFlex can be installed so quickly and has such a fast return to service, your garage contents can be returned to the garage the same day or at worst the next day after we are complete. This includes washers, dryers and refrigerators. However, if you have a lot of personal belongings on the floor of your garage, they must be removed before ANY garage floor is installed. Remember, we can help you move the heavy stuff out and then back in again after we are through! How can I compare the bids that I have received for my floor project. What kind of surface preparation is going to utilized and how many coats of product are going to be installed on your floor? Our installers at Perkins Custom Coatings are certified factory applicators for SpartaFlex who will only use the most advanced dustless floor preparation including either shot blasting or diamond grinding. Our installation process always includes a moisture barrier, we use only 100% solids materials which means a thicker final floor coating, less odor and longer product life. Cheaper and less effective methods of floor preparation such as acid wash, fewer coats of low quality and lower percent solids materials and no moisture barrier will always reduce costs but will not produce a high quality installation. Ultimately, this will result in a floor that is almost always have issues. 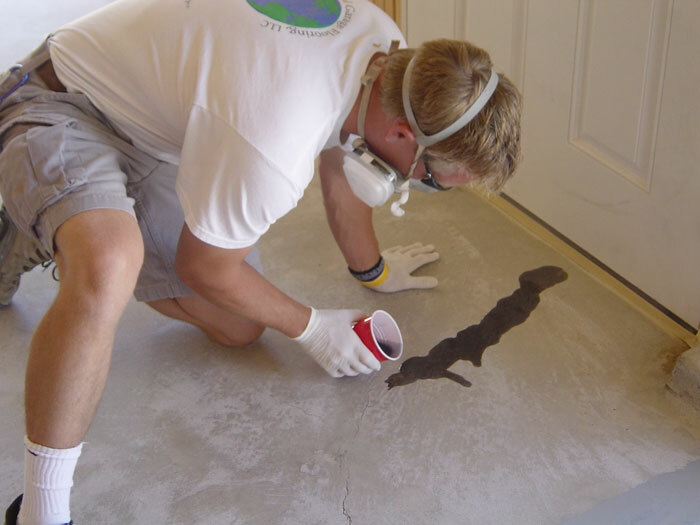 At Perkins Custom Coatings, we have been installing floor coatings since 2006 and our trained applicators follow factory specifications on the installation of your floor so that we can offer you a 15-year surface warranty – the strongest in the industry. We have installed nearly 7,000 floors since 2006 - most of our competitors have been around just a few years! Plus, Perkins Custom Coatings is a division of an employee owned company that has been working in southern California for over 40 years! Our warranty means something to us and it should to you too! The Perkins Custom Coatings Warranty is the strongest warranty in the southern California floor coatings market. We can offer this warranty because we install only the best materials and have the best installation process in the market. Don’t be misled by the warranties written by our competitor’s clever lawyers designed to offer you little or no warranty coverage! Don’t believe me? Read the fine print of our competitor’s warranty and you will see exactly what we are saying. What are your expectations for your floor? It is possible that you may receive a lower price for your floor than your bid from Perkins Custom Coatings, you need to keep in mind that there are other factors to consider other than price. First of all, Epoxy is a 50 year old floor coating technology and has all of the limitations that you would expect a 50 year old product to have. 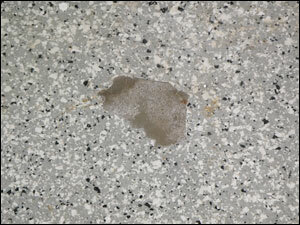 In fact, most poor quality Epoxy floors must be recoated every 3-5 years. This will not happen with a SpartaFlex floor. Every one of our 7,000 is still in service today!